THE CONTRACT-signing spree at Melbourne has continued, with damaging small forward Jeff Garlett putting pen to paper on a three-year extension. Garlett will remain in red and blue until at least the end of 2019, and he joins Jack Viney, Clayton Oliver, Jayden Hunt, Jake Spencer and James Harmes in recommitting to the club in the past three weeks. Garlett has been a savvy recruit by Melbourne, with the ex-Carlton goalsneak booting 56 goals in 29 games since he was traded for picks 60 (Clem Smith) and 71 (not used) at the end of 2014. "Since arriving at Melbourne, Jeff has built really strong relationships within the football department," general manager of football operations Josh Mahoney told melbournefc.com.au. "Jeff has been durable and has been a consistent performer already and we look forward to him continuing to create more scoring opportunities in the forward half. "It's a great reward for the impact Jeff has already had at the club by gaining a three-year contract." Garlett was put up for trade by Carlton after he fell out of favour with the Blues following an off-field incident, and the 26-year-old has made his second chance count at the Demons. He snared 40 goals from 22 games last year and is averaging better than two goals per game this season in a more potent Demons forward line. "Jeff was targeted two years ago for his ability to kick multiple goals, having booted 48 goals in 2011 and 43 in 2013," Mahoney said. "He booted 40 goals in his first year at Melbourne last year and he's on track to do it again in his second season with the club. "He also brings strong defensive pressure, plus score involvements." 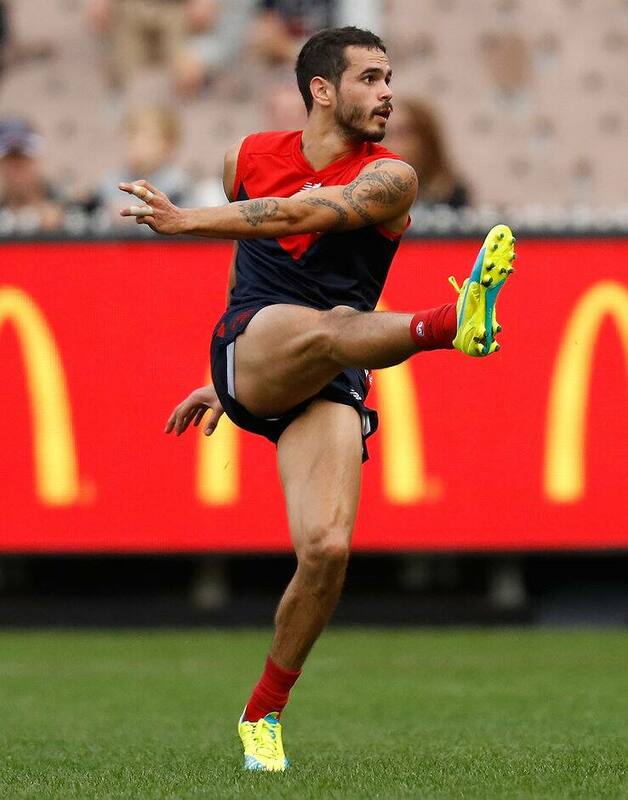 The Dees' bright start to the season – they are sitting ninth with a 5-4 record – has encouraged players to re-sign and coach Paul Roos said on Thursday he would be staggered if out-of-contract defender Tom McDonald didn't stay with the club. Former No.1 draft pick Jack Watts' deal also expires at the end of this year, with the 25-year-old set to become a free agent at season's end.